Cardiac angiosarcoma (CA) is the most common primary malignant heart tumour. Its atypical symptoms and rapidly progressive nature contribute to delayed diagnosis and poor outcome. We report the case of a 52-year-old woman admitted with a large pericardial effusion. An extensive study of the aetiology of the pericardial effusion was inconclusive. Two months later the patient returned with ischaemic stroke. An echocardiogram revealed a probable right atrium contained rupture. The patient was submitted to surgical correction but died 9 days later. Histology revealed an angiosarcoma. This case exemplifies the atypical presentation of CA and highlights the importance of a multimodal diagnostic work-up in patients with idiopathic pericardial effusion. Patel SD, Peterson A, Bartczak A, Lee S, Chojnowski S, Gajewski P, et al. Primary cardiac angiosarcoma – a review. Med Sci Monit 2014;20:103–109. Look Hong NJ, Pandalai PK, Hornick JL, Shekar PS, Harmon DC, Chen YL, et al. Cardiac angiosarcoma management and outcomes: 20-year single-institution experience. Ann Surg Oncol 2012;19:2707–2715. Wang M, Fu G, Jiang H, Zeng K, Hua P. Multimodality treatment for cardiac angiosarcoma. Intern Med 2014;53:1949–1953. Yusuf SW, Hassan SA, Mouhayar E, Negi SI, Banchs J, O'Gara PT. Pericardial disease: a clinical review. Expert Rev Cardiovasc Ther 2016;14:525–539. Adler Y, Charron P, Imazio M, Badano L, Barón-Esquivias G, Bogaert J, et al. 2015 ESC Guidelines for the diagnosis and management of pericardial diseases: The Task Force for the Diagnosis and Management of Pericardial Diseases of the European Society of Cardiology (ESC) Endorsed by: The European Association for Cardio-Thoracic Surgery (EACTS). Eur Heart J 2015;36:2921–2964. Maisch B, Rupp H, Ristic A, Pankuweit S. Pericardioscopy and epi- and pericardial biopsy - a new window to the heart improving etiological diagnoses and permitting targeted intrapericardial therapy. Heart Fail Rev 2013;18:317–328. Leduc C, Jenkins SM, Sukov WR, Rustin JG, Maleszewski JJ. 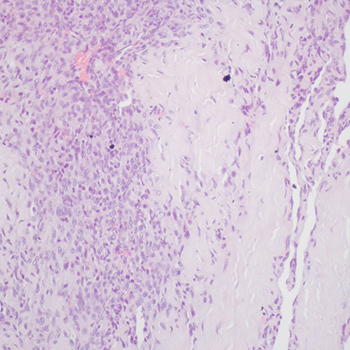 Cardiac angiosarcoma: histopathologic, immunohistochemical, and cytogenetic analysis of 10 cases. Hum Pathol 2017;60:199–207.